The team is nicknamed Amakhosi (a Nguni translation for Chiefs), and the “Phefeni Glamour Boys”. They are one of the most supported clubs in the country and also one of the richest clubs in PSL. The Soweto football club was founded on the 7th of January 1970 by Kaizer Motaung. 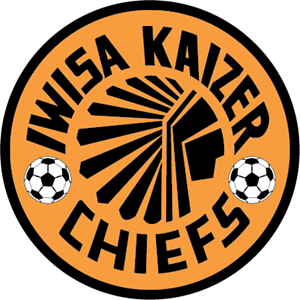 They are the most supported team in sub-Saharan Africa with a fan base of over 16,000,000 fans and are currently the only team with over 50 club trophies amongst the top 3 teams in South Africa. Kaizer Chiefs the most decorated club in South African football have won 93 trophies over the past 47-year history. The Gold-and-Black have won the League Championship twelve times, lifted the National Cup on 13 occasions, with fifteen top 8 titles (The most by any team in SA), have won the League Cup thirteen times and several unofficial cups. They are also one of only three teams in South Africa to ever win a CAF competition, defeating Interclube (Angola) in 2001 to lift the Cup Winners Cup (better known as the CAF Confederations Cup). Amakhosi were also awarded the African team of the year that same year. Interviews, action, behind the scenes, photo shoots quizzes. It is all here! KAIZER CHIEFS YOUTUBE.